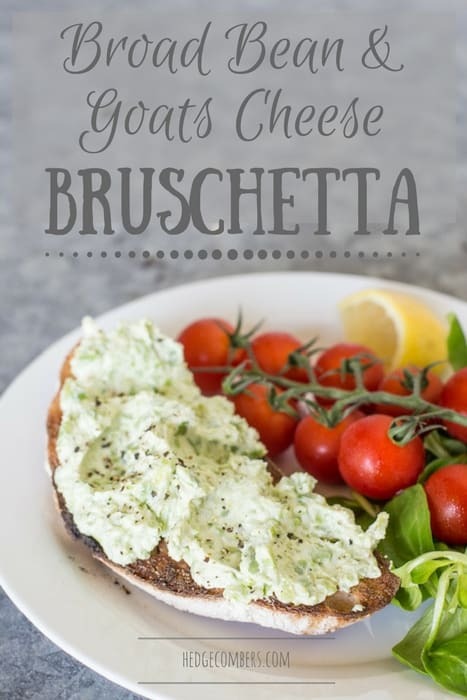 This Broad Bean and Goats Cheese Bruschetta is such a treat! Tender young beans mixed with cool creamy goats cheese. YUM! Who says camping food has to all be all Pot Noodles and tinned beans? When I’m exploring a new area, the first thing I look for is farmers markets, delis and farm shops. And these are the places you’re going to find foods that are in season, making them fresh, tasty and cheap. So this little adventure resulted in this broad bean and goats cheese bruschetta, and it was YUM! If you’re recreating this recipe in the spring, when broad beans are at their tenderest then you can use the bean straight from the pod. However broad beans get a little tough as we head into summer, so be sure to slip off the outer shell of the bean and just use the small bright green bean inside. Remove the broad beans from the pods. Plunge the beans into boiling water and simmer for 3-4 minutes, then drain and put aside until cool enough to handle. Meanwhile, toast a couple of slices of sourdough bread on a griddle pan or BBQ. Rub the toast with a cut garlic clove and drizzle with olive oil. Tear the broad been 'skin' and plop out the bright green, shiny beans from inside. Mash these together with the goats cheese, lemon juice and salt & pepper using a potato masher or fork. Scoop onto the toasted sourdough and sprinkle with a little more black pepper. Ooh yes, peas would be a great substitute! That looks like a lovely small bite! Broad beans are a wonderful idea! This would make a perfect light lunch for the weekend! Sounds like a great light lunch for me. I think this would be a big hit come tailgate season too! What a great way to use up those beans in the garden! Perfect for lunch! 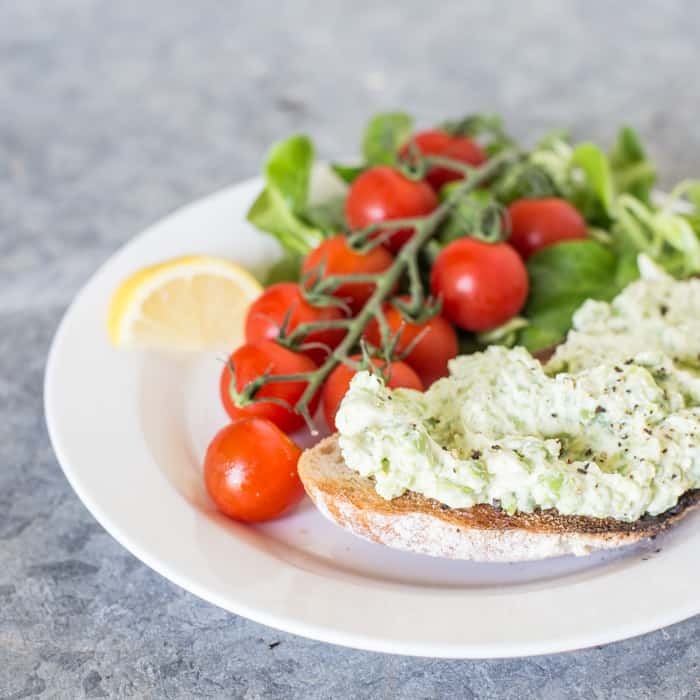 Love broad beans and they make a brilliant dip. I’ve never tried making one with goat’s cheese. Sounds delicious. I must admit to not being a huge fan of broad beans. Possibly because I’m too impatient to double shell them. But this looks delicious! I love the idea of mashing the beans and cheese together, I will have to try that!